Aloha friends! Welcome back! We’re continuing on with our celebration of the 54th Anniversary of Disneyland’s Enchanted Tiki Room. In case you are just joining us, we thought it would be fun to create a series of tiki drinks based on the birds of The Enchanted Tiki Room. Our first and second of these tiki drinks were based on Jose and Michael. Now for our third tiki drink, we are focusing on Fritz, the German parrot. The voice of Fritz is probably the most well known. He is voiced by Thurl Ravenscroft. You’d recognize him as Tony the Tiger, the mascot of Frosted Flakes and the singer of You’re a Mean One Mister Grinch. What you might not know is that he also has done of voice work for Disney. You can find him not only in The Enchanted Tiki Room, but also as one of the singing busts in the Haunted Mansion and the narrator on the Mark Twain. He also did voice work on Pirates of the Caribbean, the Disneyland Railroad, and Country Bear Jamboree. 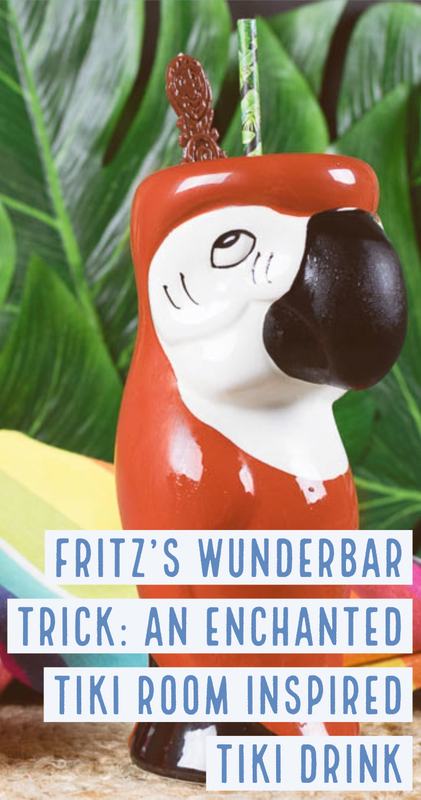 As with our our cocktails, Fritz’s Wunderbar Trick was inspired by his origin. To bring a little bit of Germany to our Tiki Drink we used Bärenjager. The honey liqueur’s recipe was originally concocted to lure bears out of their dwellings by hunters and fur trappers. Originally called Bärenfang (‘Bear Trap’), it was not only enticing to the bear, but soon became the beverage of choice to the bear hunter as well. To switch it up a bit we used lemonade instead of the standard tropical juice fare. This paired far better with the Bärenjager. We also used aged rum to spice it up a bit along with Bittermen’s Tiki Bitters. We hope you enjoy Fritz’s Wunderbar Trick! 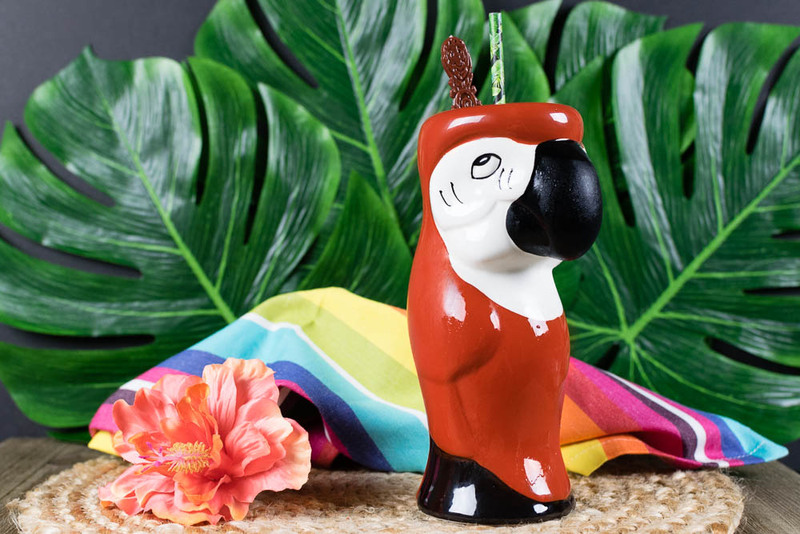 Be sure to check back tomorrow for our last Tiki Drink inspired by the French parrot Pierre! Cheers!